I love beer bread. It is so simple, so quick and really delicious. Now with Dorot herb cubes it is so easy to add delicious flavor without all of the fuss. You can adjust the herbs as you like and change up the cheese to suit your taste. You can use any beer you like. I always use whatever hubby has in the fridge. Dark beers however, could overpower the flavor. Sift together the flour , baking powder, sugar and salt. Stir in cheese. In a medium glass bowl or liquid measuring cup pour the beer and add the basil, dill and cilantro and whisk gently until they are thawed. Pour beer and herbs into the flour mixture and gently combine. 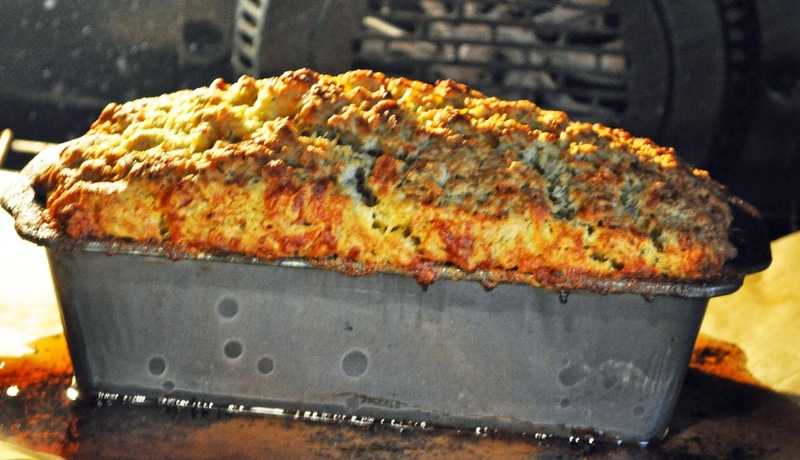 Place into a well-greased loaf pan. Melt the butter and garlic. Pour over the top of the bread dough. Place the loaf pan on a cookie sheet lined with parchment paper to catch any of the butter that overflows while cooking. Bake for 1 hour or until a toothpick comes out clean. Serve warm or at room temperature.